Those All-Star jackets with players’ achievements as decorations were a real nice touch. Kobe Bryant was, of course, the most decorated player out there on Sunday. That’s “General Kobe” (as one of my friends said) for you. Anyone can look good throwing an alley-oop to LeBron James. Even Carmelo Anthony. Seeing Kevin Durant, Russell Westbrook, and James Harden on the floor together again as teammates gave me all the feels. If people aren’t sold on Paul George as an all-star, well… start getting used to it. This guy is for real. The same holds true for Kyrie Irving. For some reason, CP3 to Blake looks less impressive in an ASG than it does in a regular-season game. David Lee representing the Golden State Warriors. How long has it been since we’ve seen a Warrior in an All-Star Game? If you still remember Latrell Sprewell’s selection in 1997, that’s how long it was. CP3 to KD. How many OKC Thunder fans say no to a Westbrook-for-Paul trade? LeBron’s getting real comfortable with that three-point shot. Scary. Dwight Howard pulling a Westbrook. Those neon-green Adidas shoes are really irritating. Westbrook really loves those pull-up jumpers. Harden cares very little for mild ankle sprains. Brook Lopez doesn’t even look like he’s trying to play in an All-Star Game. Tony Parker’s teardrop is still so smooth. Reggie Miller picked Memphis as his dark horse in the EAST. Dude, wake up. Chris Bosh is the guy West players love to blow by. Tight last few minutes. 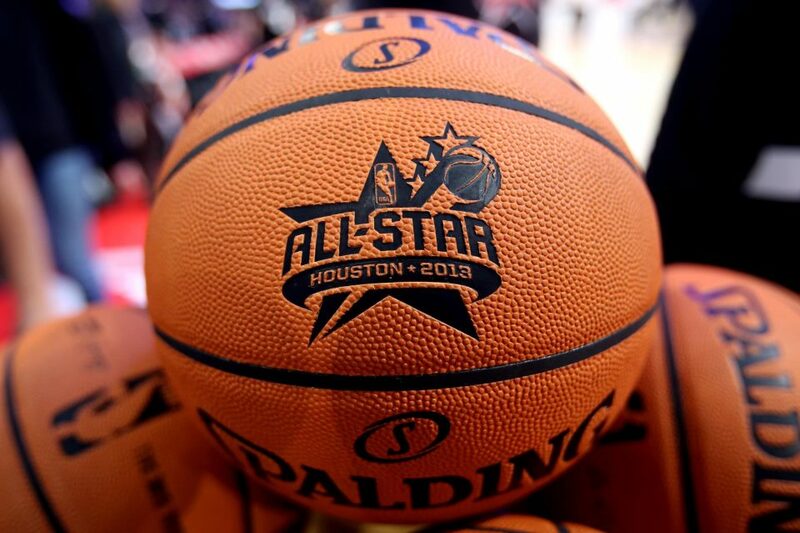 That’s just how All-Star Games should be. Well, the West won it, 143-138. Chris Paul gets the MVP with 20 points and 15 assists. Durant finishes with 30 on 13-of-24 shooting. Kevin Garnett and LaMarcus Aldridge are the only scoreless players tonight. That’s that! The ASG was fun, but I can’t wait for the regular season to resume.